The reviewer has been compensated in the form of a Best Buy Gift Card and/or received the product/service at a reduced price or for free. This post contains affiliate links and the site owner will earn a commission if you make a purchase via the links. Whether you are in the market for a new camera for yourself and family this holiday or you are looking to purchase one as a gift, Best Buy has all types of cameras for everyone. I love my DSLR, a Cannon that is a few years old now, however I can't help but drool at some of the newer cameras out there. As a blogger, it is no surprise that I am a social media junkie and I upload a photo to at least one social media site daily. So I often default to taking photos with my iPhone since it allows me to instantly share wherever I want, something I can't do with my camera. I love that these cameras here come with WiFi capabilities for instant sharing. 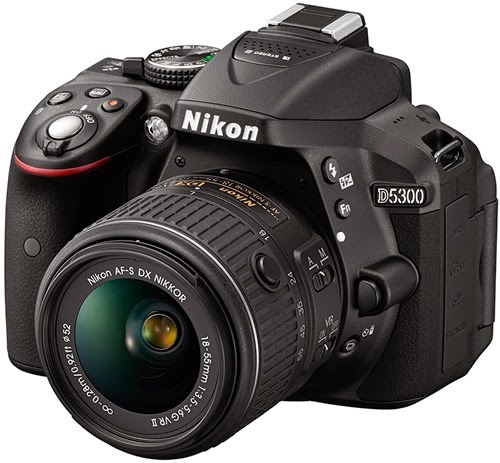 This Nikon camera which comes with a 18–55mm lens that uses VR (Vibration Reduction) image stabilization to limit the effects of camera shake and vibration. Built-in Wi-Fi lets you wireless connect to compatible mobile devices, so you can easily share captured footage with friends, relatives, clients and more. Available in black, red or grey. 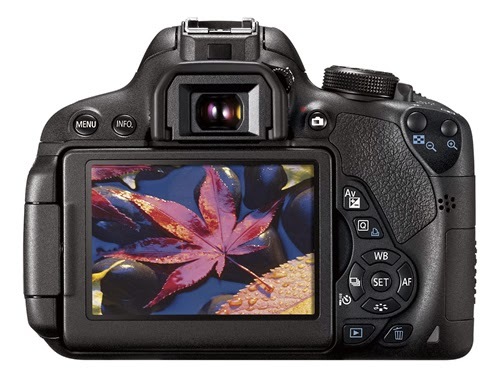 Features a 24.3-megapixel Exmor CMOS sensor and includes a lightweight 16–50mm lens. Connect your devices via the camera's built-in Wi-Fi to share photos with loved ones. 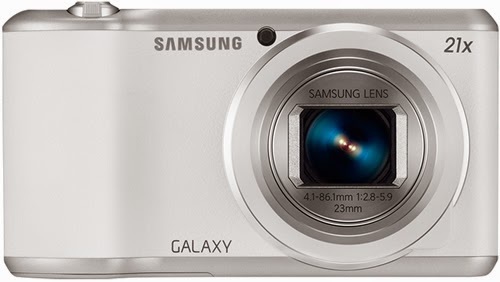 Has a 16.3-megapixel, 1/2.3" BSI CMOS sensor and a 4.8" touch screen with built-in WiFi makes for easy photo sharing. Visit the Best Buy Holiday Gift Center to see check out great cameras and find the perfect one for you! I participated in an Influencer Activation on behalf of Influence Central for Fellowes Brands. I received a product sample to facilitate my review as well as a promotional item to thank me for my participation. This post contains an affiliate link. In this day and age where identity theft is a huge issue, one can never be too safe when it comes to their personal information. That's why we really have to be diligent when disposing of paperwork that someone could use to get access to our lives. Tearing up your mail and tossing it in the garbage or recycling bin is no longer a good option. I am a firm believe in "better safe than sorry" so when it comes to papers, receipts, mail, etc. that contain our information on them, they go in the shredder pile. Now until recently, I had this tiny cheap shredder sitting in my home office to use for this. 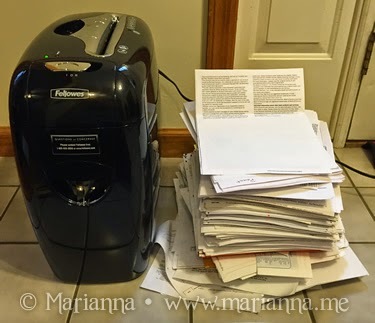 However, it was so slow which means shredding papers took some time and in turn that meant that I would just let the "to shred pile" grow and grow. Then I received the Followes M-12C Shredder to test out and in all seriousness, it changed this menial task for me. As you can see, there is that stack of papers I mentioned earlier. Now if I sat down and used my old shredder to do all of these, it would literally take me several hours. Obviously, I don't have that kind of time to spare which is why said pile grew so tall. 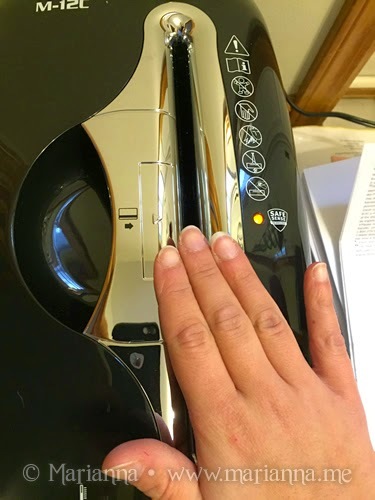 However, I was eager to get started with the Fellowes M-12C to see what kind of difference a more powerful shredder could make. Let me tell you, this is one serious shredder. From start to finish, it took me about an hour to get through my pile and I sat there in amazement as it gobbled up 12 pages at a time and even staples. I absolutely love the fact that it can handle staples. While this shredder can shred up to 12 sheets of paper, I prefer to keep it around eight. Once you start getting up to 10 and 12 it does slow down a little bit. One of my favorite features of this shredder is the pull out drawer that catches the pieces. This makes it so much easier to dump the shredded paper in a trash bag. There is a little window on the front so you can see it filling up. I recommend letting it fill about 2/3 of the way and then dumping it, if you wait till it is completely full, paper will go everywhere when you open it up. 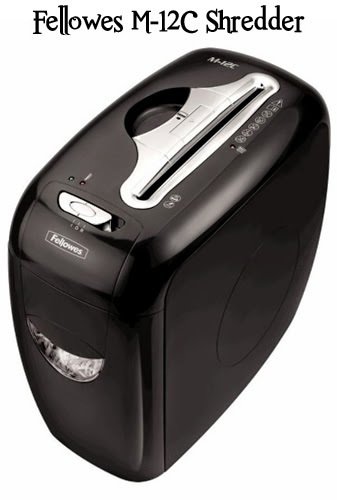 Now if you have kids in the house like I do, an important feature of this Fellowes M-12C Shredder is the SafeSense Technology. When you are shredding paper, the light next to the SafeSense logo is green. If your hand (or any piece of skin) touches the silver area around the opening to the shredder, the light turns yellow and the shredder stops. Pull your hand away, and it resumes shredding. This will prevent little fingers, or even your own, from getting injured. While a shredder might now seem like an overly fun gift to give someone this holiday season, it is a useful one. And I don't know about you, but I would prefer to receive something that would actually be useful to me. And this shredder is certainly useful. 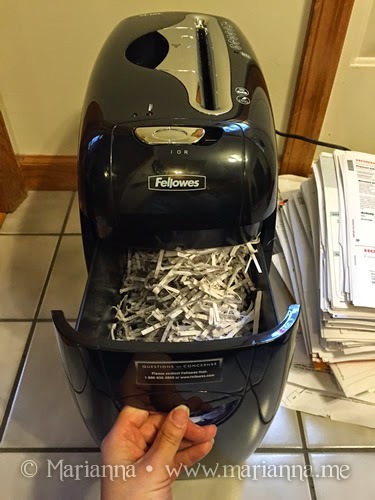 A shredder like this is something everyone should have in their home to help protect their information and identity. It could make the perfect gift for a young adult just going off on his/her own, new homeowners, newlyweds and even your spouse. Or honestly, its a great gift for anyone who hasn't take this step to protect themselves. I know there are some of you out there who are just as excited for the Fifty Shades of Grey movie as I am! 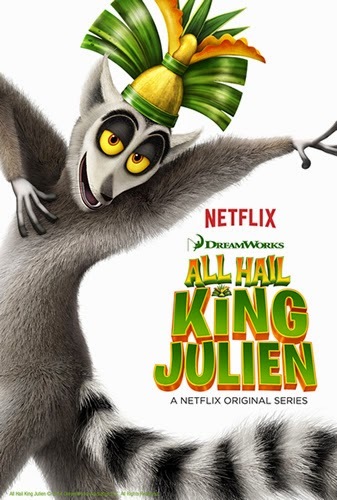 February really needs to hurry up and get here already. 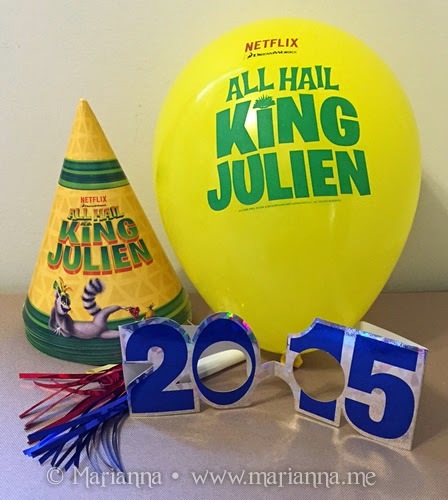 So I am really excited to share this giveaway with you all! Thanks to Universal Pictures and #OfficialFifty, I have FIVE (5) Anastasia official movie posters to giveaway. Each poster is also tied with an exclusive Fifty Shades of Grey satin ribbon. Open to US residents only, giveaway will end on December 16, 2014 at 12:00am EST. Scroll down to the Rafflcopter form below to enter. There are also two other posters being given away by other blogs out there, so be sure to follow #OfficialFity on social media for a chance to win all three! As parents, aren't we always following our kids around trying to snap as many photos as possible so we can hold onto all of the memories they create? I'm sure it must drive our kids crazy, but it can't be helped. Snapping a quick picture with a camera phone is great but sometimes, you really want and need a high quality photo. Like for holidays, special occasions or maybe for your son's first hockey game, which happened for us over this past weekend. I still remember when my husband bought me my Canon Rebel XS a few years back. I was thrilled and admittedly overwhelmed by it since I had never used a DSLR camera before. Even now I don't know what I am doing half the time, but it still takes way better photos then any of our phones or point and shoot cameras ever took. And years later it is still going strong. I feel like every family should have a DSLR in the house. 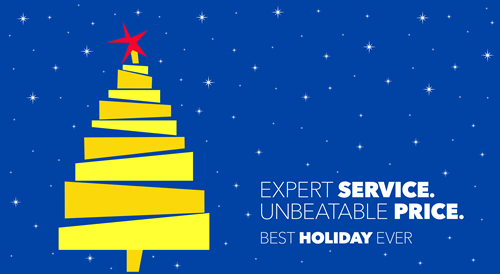 Best Buy is your go-to store for the latest cameras to capture your holiday memories. 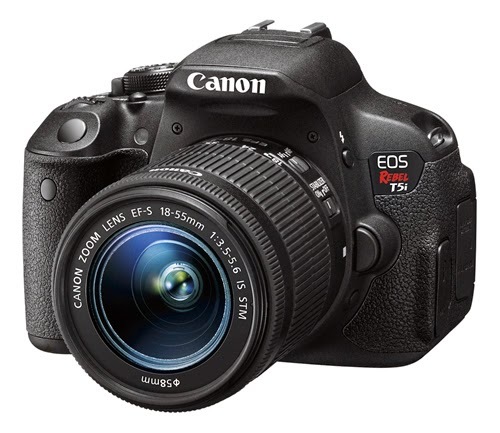 The Canon EOS Rebel T5i is one of the best-selling DSLRs. 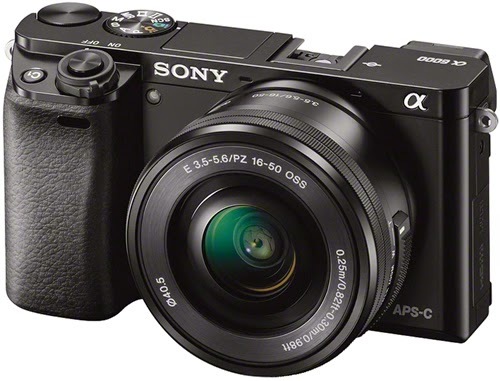 This camera makes advanced photography easy and fun, and gives you exceptional image quality, along with a host of features to enhance your creative expression.